The ‘City of the Dead', a nickname for Civita di Bagnoregio, a name that sounds incredibly morbid and even slightly frightening. A name that suits this unique destination. 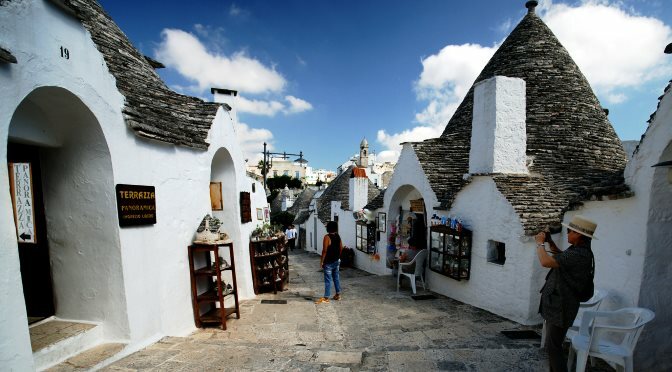 The dying city in Italy is really dying …. a slow death, day by day! But don’t let the nickname scare you away from this stunning little ancient town. 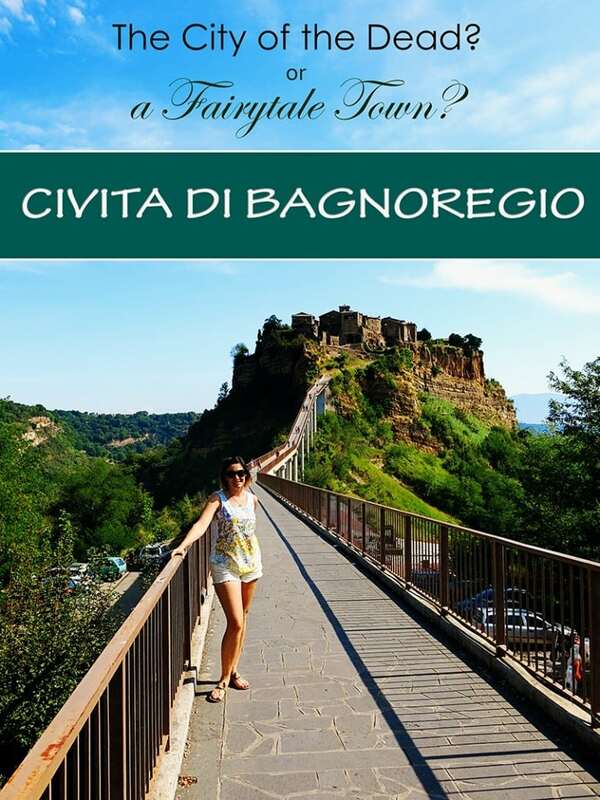 Fortunately Civita di Bagnoregio has also managed to attract names such as ‘a Fairy Tale Town’ as well as an ‘Island on the Clouds’. And it certainly impressed us! Where is Civita di Bagnoregio Italia? Civita di Bagnoregio is a unique little town in the Province of Viterbo in central Italy. It is only around 35 min (22km) from Orvieto or if you are hopping on one of the day trips from Rome (or hiring a car), the trip will take you around 2 hours (130km). We highly recommend renting a car to make the trip to Civita di Bagnoregio easier! It is about 100 km from Rome to Civita di Bagnoregio and the trip will take you around 2 hours one way. Make sure to grab a GPS with your car as well! As you can see this method is pretty cheap and would allow you to travel directly to the town as well as allow you to travel on your own time schedule. For all our car hire bookings we use and recommend AutoEurope. We’ve found they offer the most comparable prices, let you search and compare multiple car hire companies and they have a great customer service team who can help if you come into any unexpected troubles. You can easily check prices and book your car hire here. 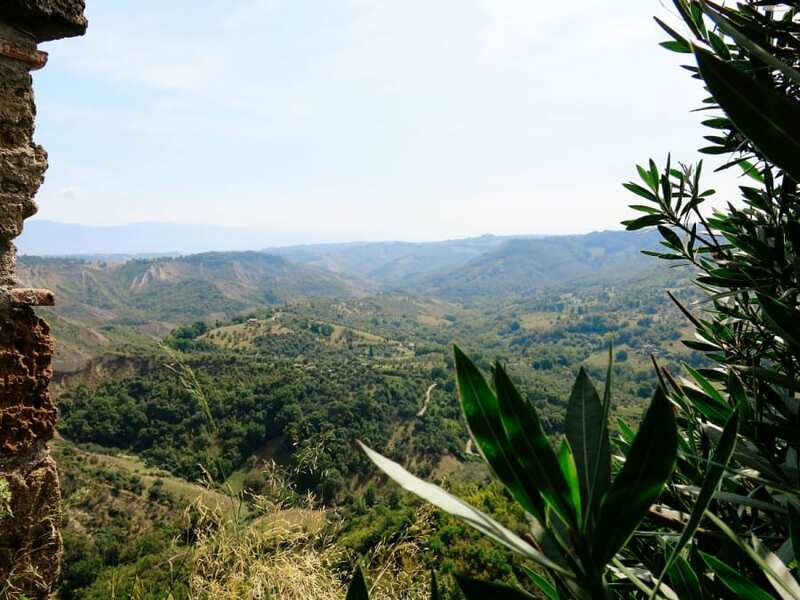 If you are not keen on driving, the trip to Civita gets a bit trickier! We don't recommend choosing to travel on public transport unless you are planning an overnight stay in Civita di Bagnoregio! 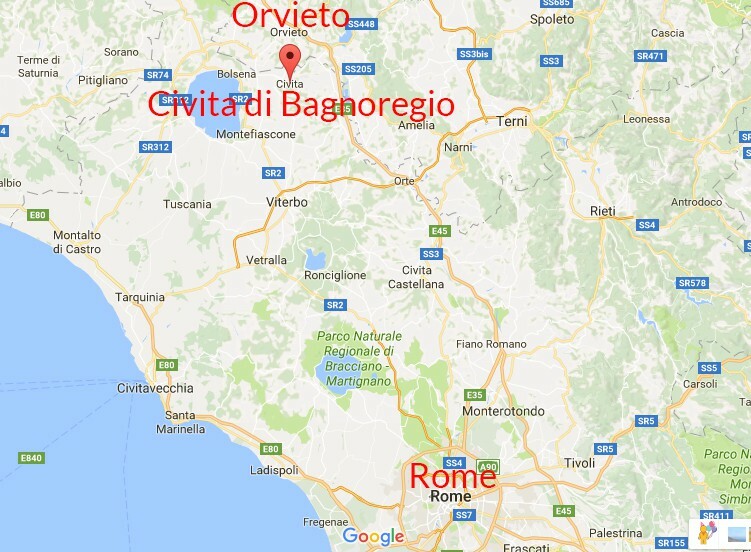 You will first need to catch a train from Rome to Orvieto and then grab the Orvieto Civita di Bagnoregio Bus (Cotral bus). Alot of people prefer to simply pay for a taxi for this stretch, however the Orvieto to Civita di Bagnoregio bus will obviously be the cheapest way to go. Another alternative is to simply prebook your own private transfer. This is our recommendation if you wish not to drive yourself. You can still pick your own time of departure and leave when you are ready (in comparison to being on a tour). For a transfer service that is always reliable and that offers exceptional service, we highly recommend Blacklane! 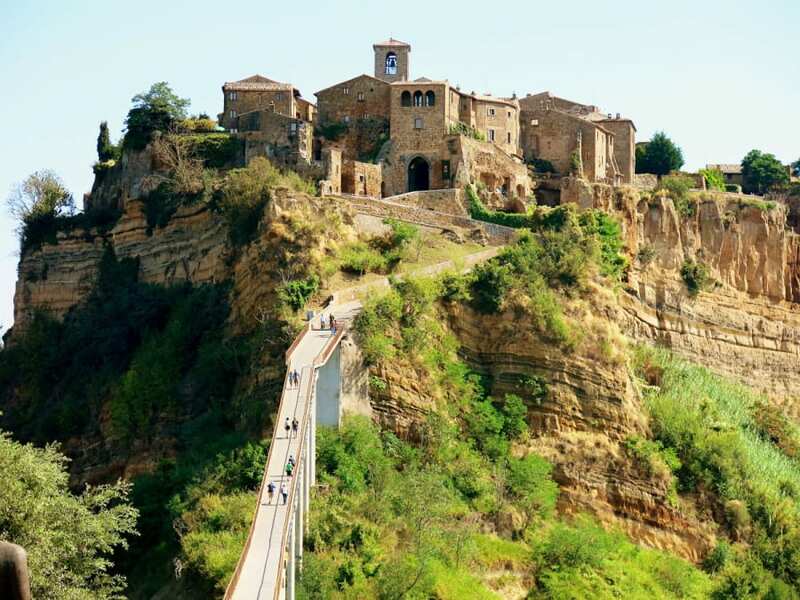 Your transfer from Rome to Civita di Bagnoregio will cost you around €210. The last option is to book one of the Civita tours. 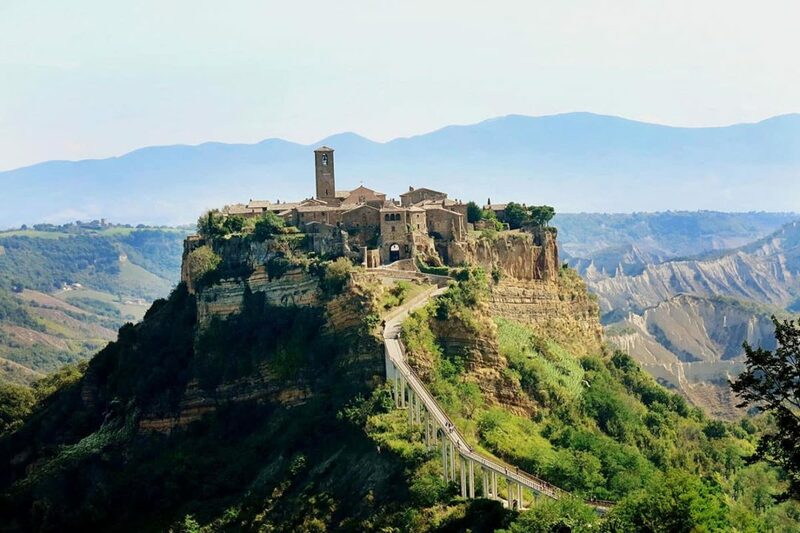 This Civita di Bagnoregio tour through Viator, takes you from Rome to Orvieto, on to Civita di Bagnoregio the dying city, and then back to Rome again. Probably the easiest, least stressful way of going about it, but also the most expensive. This little ancient medieval town in Italy was built around 2500 years ago. 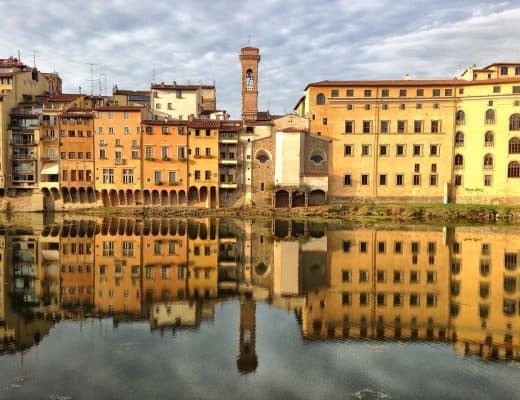 A little town frozen in time, as it is almost untouched by the Renaissance and even by modern society. A little town clinging for dear life to the top of a plateau of friable volcanic rock, situated in a canyon that is the result of constant wind and erosion. A dying city, a city that you should see as soon as possibly before it disappears forever! The only way into this little town is by a steep footbridge which leads you to the entrance through Civita’s impressive town Gate. The mere fact that cars can't get into this town, adds to its ancient atmosphere. The only way to carry the supplies into Civita di Bagnoregio is either by foot or by moped. Inside, you’ll find ivy-clad arches and walls, cobble-stoned lanes, and sun-flooded piazzas where you can sit and relax with a gelato and absorb the view over the Church. It won’t take you very long to explore this unique hidden jewel. But it will be tricky to absorb the beauty of every street, every crevice and every view over the impressive Tiber Valley. Civita di Bagnoregio on average has only around 20 year-round residents. It seems whilst walking around this town, that there are more cat inhabitants than human ones. The only time this town bustles with people is when tourists come to visit. It will take you around 2 hours to get to Civita di Bagnoregio from Rome. A trip that is definitely worthwhile and highly recommended by us. We hired a car and turned our day into a road-trip day. Civita di Bagnoregio was our first stop for the day, followed by some gorgeous towns in Southern Tuscany. 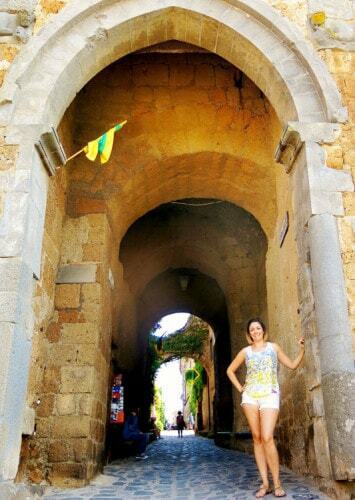 Romanesque Arch that was built 2,500 years ago, this arch serves as the gate and welcomes you into Civita. Piazza – The town's only public space. In the evening, the piazza is the place to be, as the few residence of the hamlets socializes there. Renaissance Palace remains – All that remains of an old palace is the facade, the rest collapsed into the valley from the erosion of the hill. Maria's Garden – Follow the main road to the far side of town to see a gorgeous garden with stunning canyon views.If you are lucky, Maria will greet you and show you the garden in exchange for a euro or two. Etruscan Caves – A series of caves at the end of town, one of which was made into a chapel. Do make sure you head to Ristorante Alma Civita di Bagnoregio for a meal! 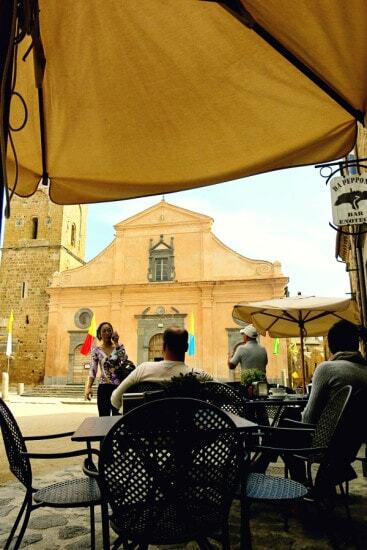 People come from all corners of Bagnoregio to enjoy the delicious food at Alma Civita Civita di Bagnoregio! You can look them up here. In all honesty, pictures whilst worth a thousand words, still just simply can not do this fairy tale town any justice. In order to experience this surreal, magical, little town, you simply will have to make the effort to pay it a visit. 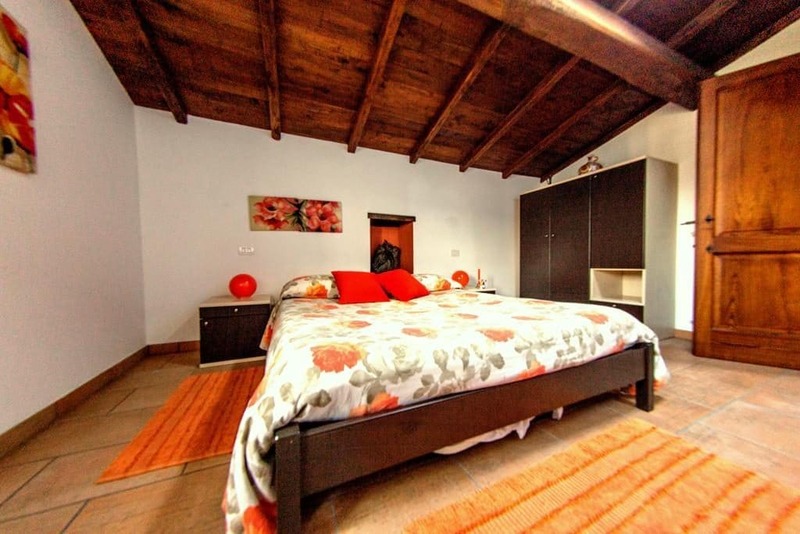 If you are after something super special, why not consider actually staying in Civita itself? 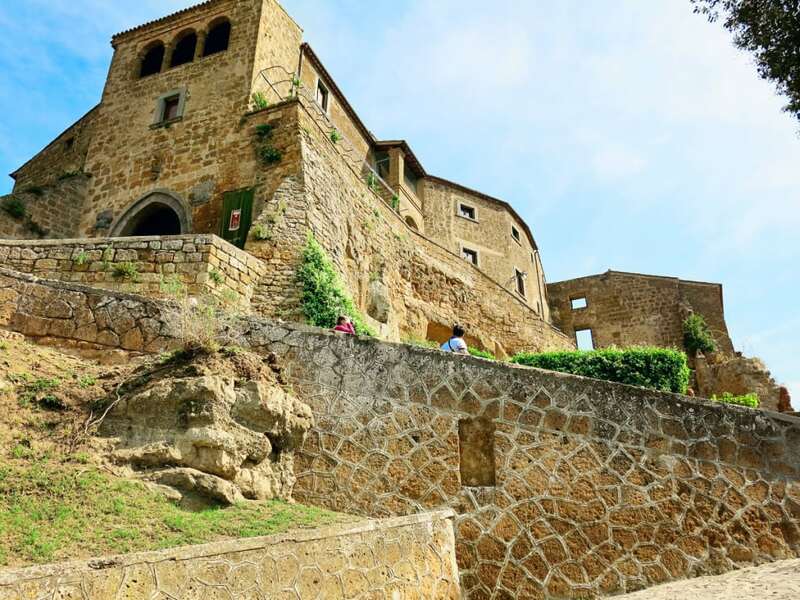 Whilst there aren't alot of properties available, you will still be able to find a Civita di Bagnoregio hotel, Civita di Bagnoregio B&B and Guest Houses. Below you find the most popular of these choices. Agriturismo La Peonia is a very popular option that is located within walking distance (1 km) from Civita di Bagnoregio. It only has two rooms and each room has been designed to be comfortable! They are both air-conditioned rooms and you will have free WiFi throughout the property. 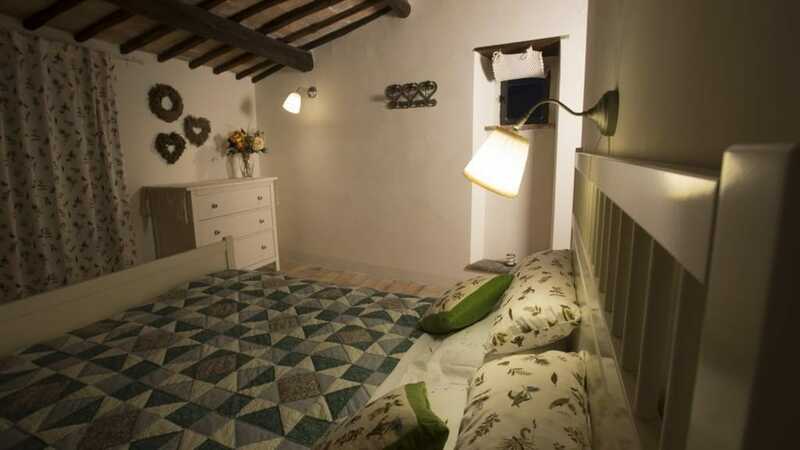 You can check the latest prices of Agriturismo La Peonia here. Case di Civita has two rooms available for rent! The apartment building is set in the most perfect located right inside the small Civita di Bagnoregio. The rooms are cozy and spacious. The apartments in Case di Civita come with a fully equipped kitchen, fireplace and city views. Each room has its own private bathroom. You can check the latest prices of Case di Civita here. La Logetta is a very sweet Civita Bagnoregio B&B and a pretty cheap one as well. It is located in Bagnoregio and only a short 2km from the unique Civita di Bagnoregio. This little house offers a shared kitchen and rustic-style rooms with a balcony. Best of all is the low price tag that is attached to this little B&B stay. 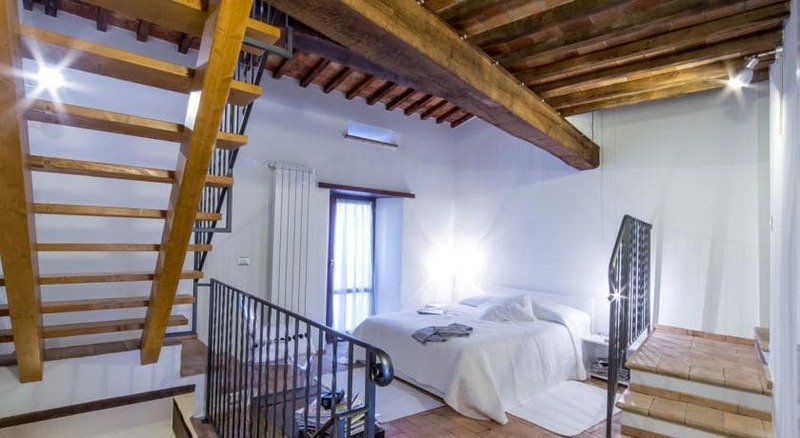 You can check the latest prices of La Loggetta here. 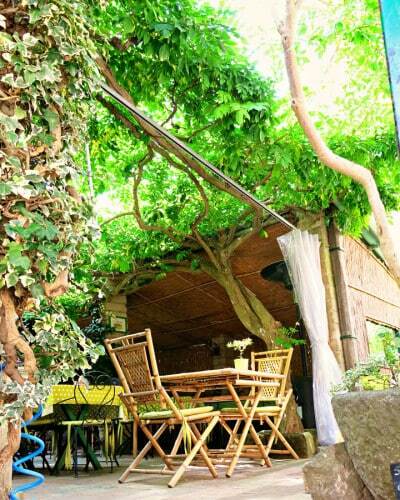 Del Prato is another beautiful little B&B that is set just outside of Civita di Bagnoregio. It offers elegant rooms. The rooms have a mix of modern and rustic details. If you are after an en-suite bathroom make sure to select one of the rooms that has its own bathroom. Delicious breakfast is included with your stay as well! Guest love this property! You can check the latest prices of Del Prato here. The City of the Dead, or a Fairy Tale town? You decide! But make sure you pay it a visit before this town has eroded away and disappeared into rubble. Time will eventually win against this historic place. Really love what U guys are doing!!.. Keep it up!! What an absolutely breathtaking place! I cannot believe that it has such few full-time residents but still manages to sustain tourism. 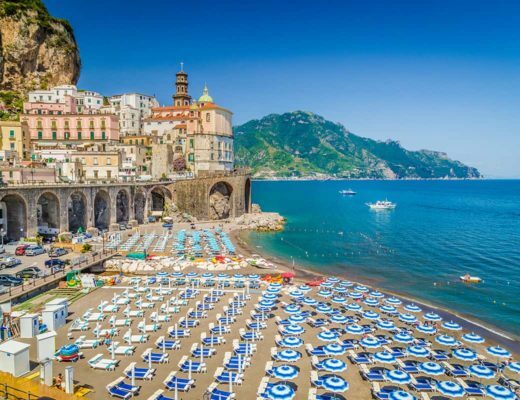 I haven’t been to Italy yet, but I want to go SOOOO badly! This will have to be on the itinerary!